The shoulder is one the most complexed joints in the body. It has a shallow joint that needs to move in every range of motion freely (especially on Fight Gone Wrong day), its held in place by a multitude of muscles that need to have perfect tension on each to allow full range. It is the best and worst of the body. If everything is working right you’re good. But if one muscle gets too tight, loose, or impinged you’re in for a world of hurt. 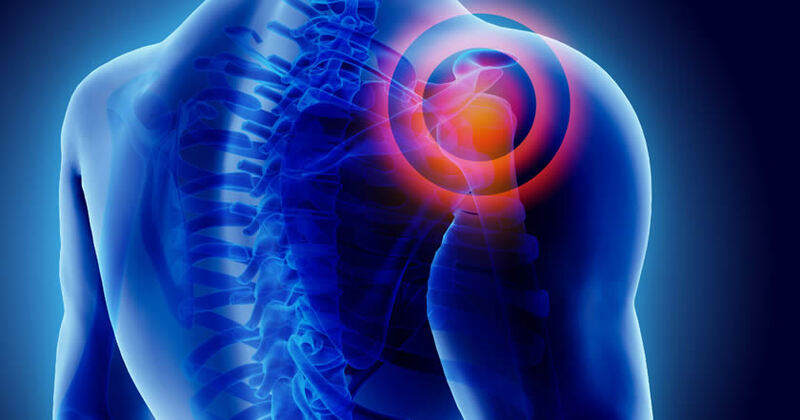 If you’ve had a shoulder injury before you know the pain, (especially when you roll over on it at night and wake up with pain or numbness). The major rotator cuff muscles keep the ball of the shoulder in the socket, to allow full movement. But with any shoulder workout if you don’t keep the tension and shoulder in the correct place its very easy to tear one of them. Most commonly the Supraspinatus muscle can tear, this can happen with overhead squats, because of improper form, or even reaching behind your car seat. With any injury the best way to fix it is to never have it happen. Prehab before rehab. Basic shoulder warm up every morning and before a workout helps keep the possibility of a tear away, but “Life finds a way”. As with all musculoskeletal injuries it starts as a twinge and progresses to a tear, to a full blown tear, to numbness and 0 strength. That’s why I always recommend muscle work to the shoulder to correct any scar tissue or trigger points in the shoulder, it hurts so good that after you feel amazing. At the shoulder clinic August 19th we’ll discuss how to prehab and prevent shoulder injuries, how to recognize if there’s a problem and get it corrected before it gets worse. Sign up at the front desk to guarantee your spot. The seminar is $10 and includes a mobility kit to take home with you!